A professional couple with demanding careers and commitments spanning the globe requested a refuge with serenity and style. 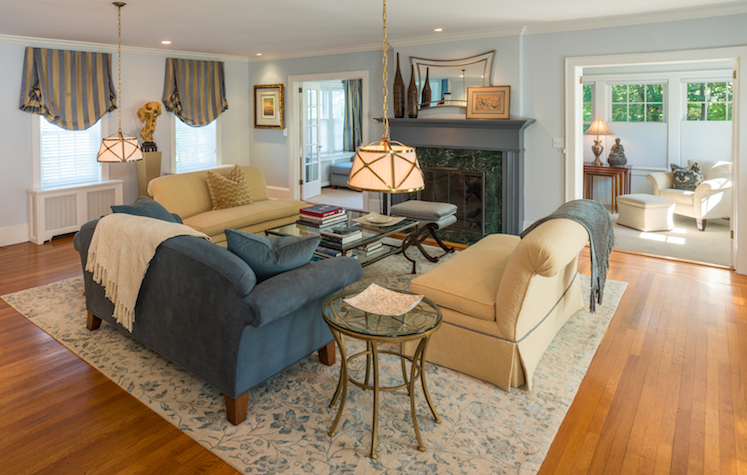 In a trim colonial home, furniture floats creating a surprising sense of openness. A blue color palette is both restful and lively. A country kitchen was designed to meet the wife’s exacting specifications. Madeline Eckett Oden is a Bronxville, New York based interior designer. She crafts carefully designed, personal interiors for discerning clients in Westchester County, Manhattan, and the greater New York area.